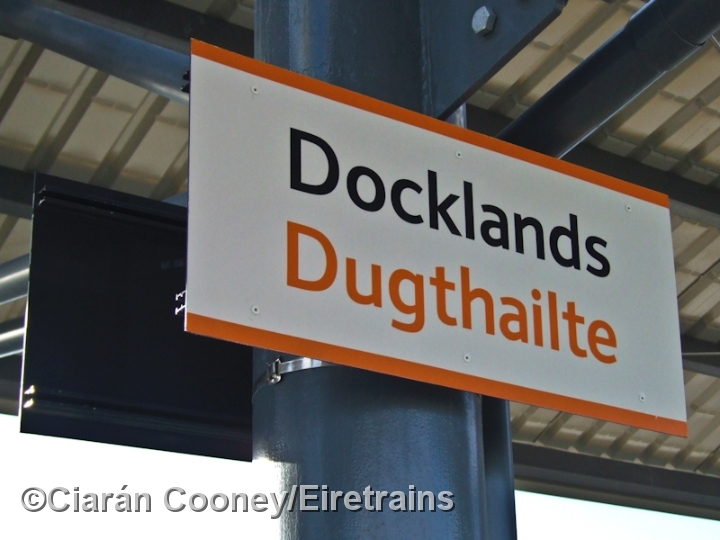 Docklands Station in the new residential area of Dublin's former docklands area in the east of the city, opened on the 12th of March 2007, amidst much publicity. 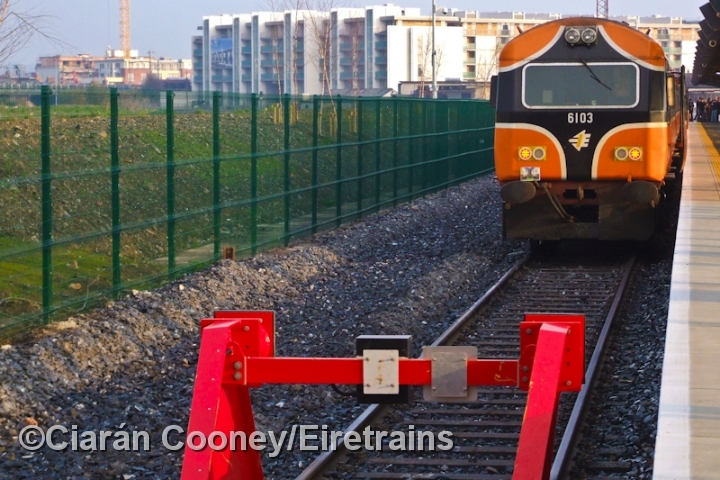 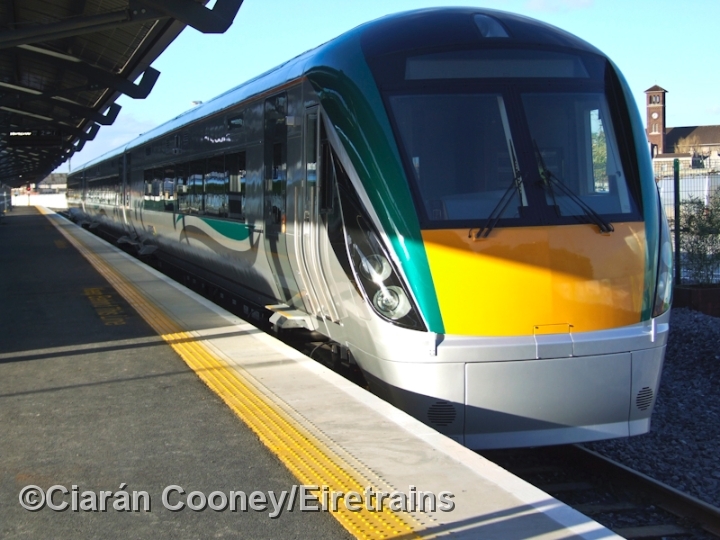 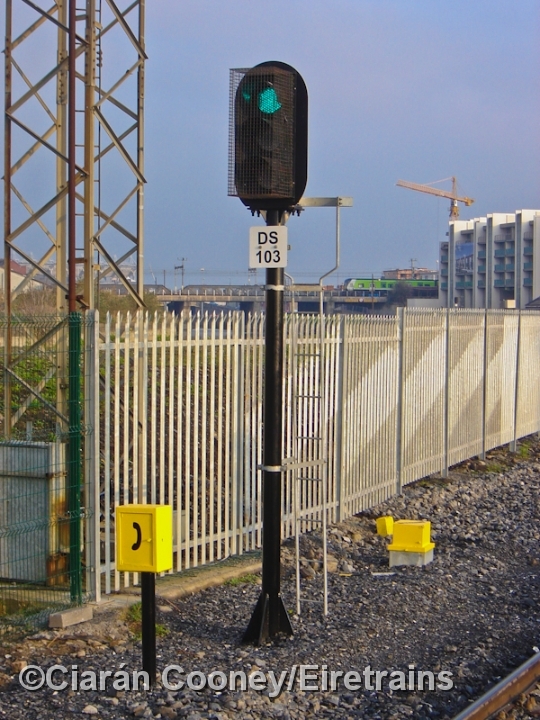 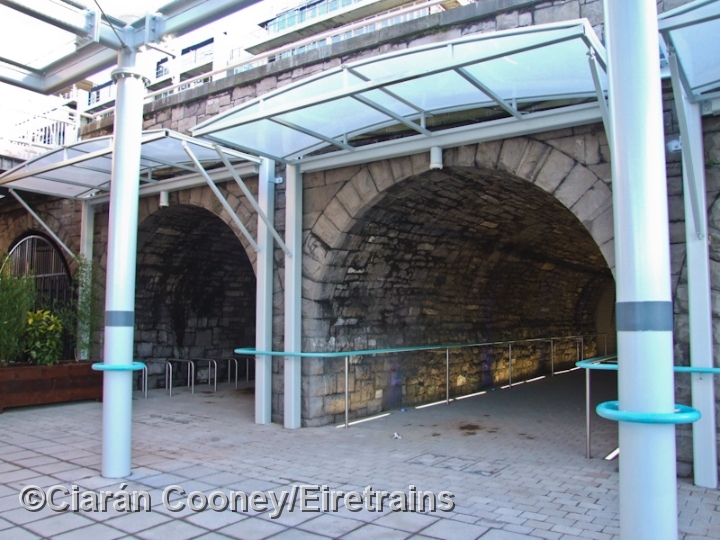 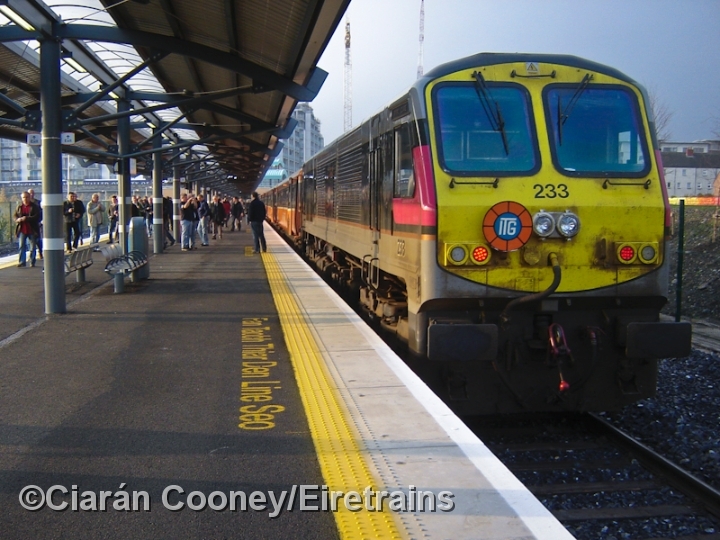 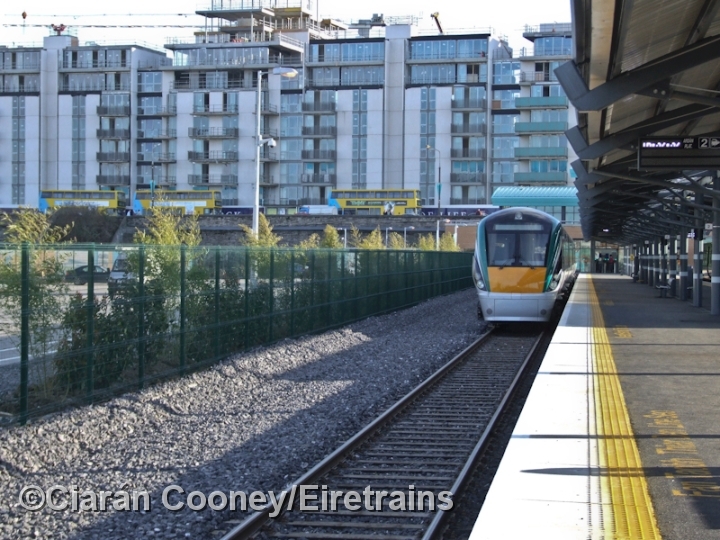 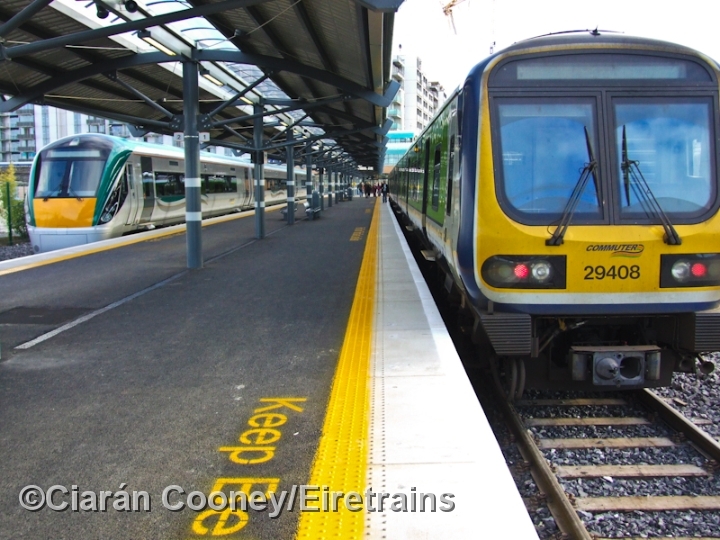 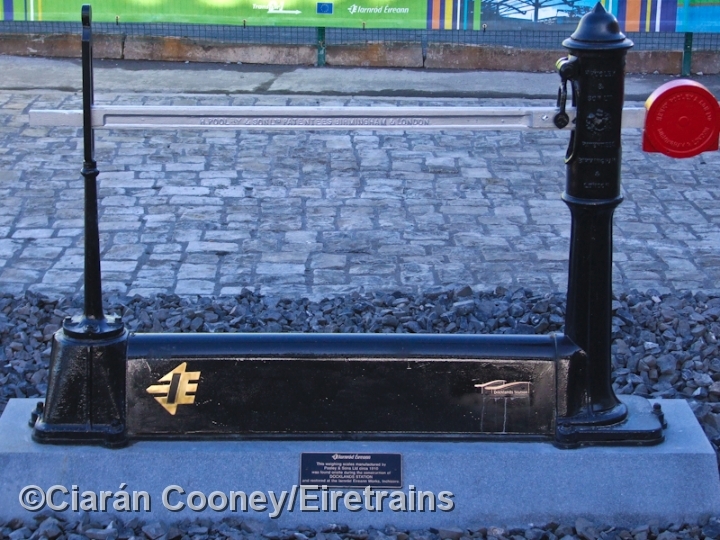 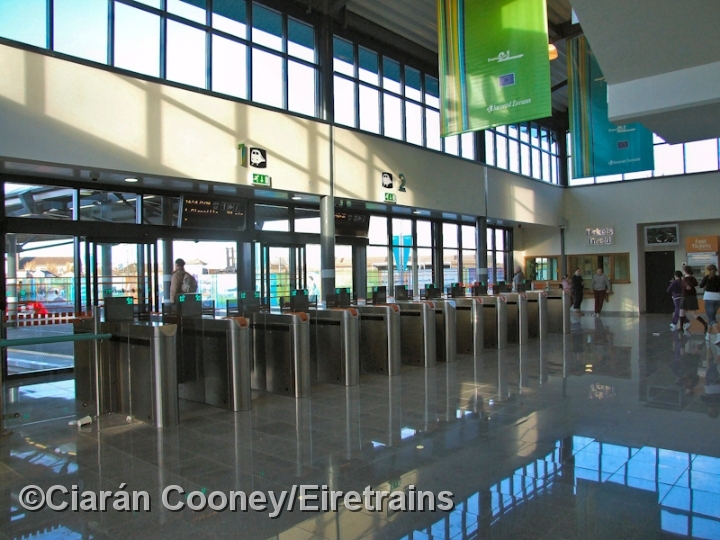 It is the first terminal station to be built in Dublin for quite some time, and is served exclusively by Maynooth and Dunboyne line trains which traverse the ex Midland Great Western goods line through Newcommon. 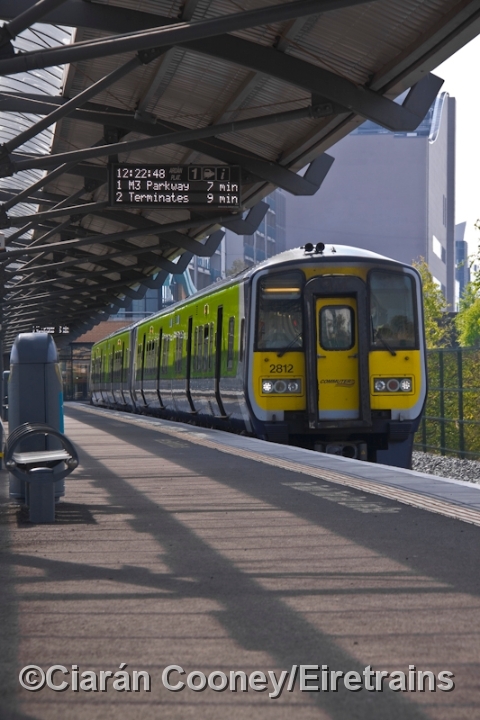 The station was built on the former MGWR freight yard which closed at the end of 2005. 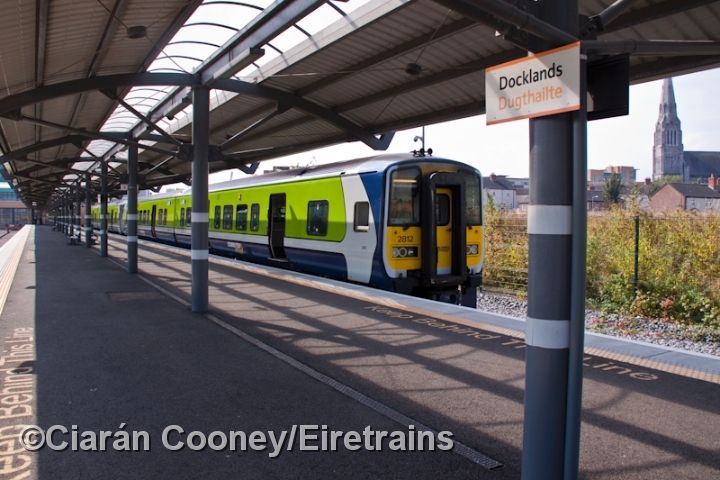 Interestingly though, there was once a passenger service which ran roughly to where Dockland is now, serving a London & North Western station and yard, built there in the 1890s, however the service was withdrawn in 1927.